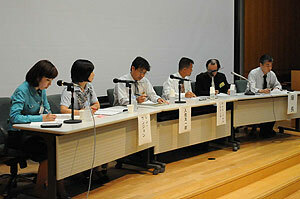 The 24th Conference on International Cooperation on Conservation titled “Thinking of conservation with a protective shelter” was held on July 8, 2010, with 71 participants. 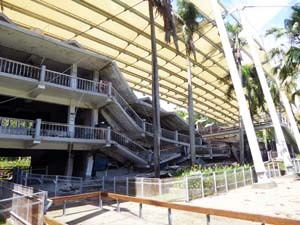 Protective shelter are sometimes used to conserve sites. To understand the advantages and disadvantages of protective shelter, it is necessary to know their state after a certain number of years have passed since they were built. 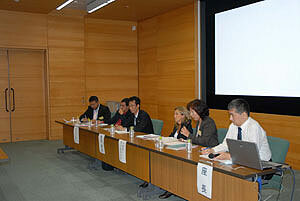 For this reason, we asked three persons to make presentations and then we had general discussions. 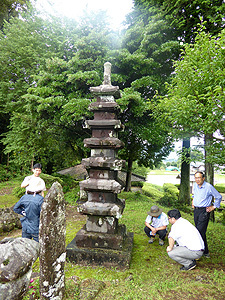 First, Mr. Anat Bamurunwonsa of the Fine Arts Department of Thailand gave a lecture titled “Protective shelter for a pair of Buddha’s footsteps in the Prachinburi Province.” This was followed by Mr. Irisa Tomoichiro of the Cultural Properties Protection Division, Fukuoka Prefecture, who delivered the lecture “Varied forms and current status of protective shelter in Fukuoka.” Then, Ms. Shin Eun-Jeong of the National Research Institute of Cultural Heritage, Korea, gave a lecture titled “Current status and case study in covering roofs for stone cultural properties in Korea.”The lectures and discussions made us recognize, for site conservation, the need to appropriately decide on specifications of protective shelter, after understanding the conditions such as the ambient environment of sites, and the importance of continuously monitoring the built roofs. 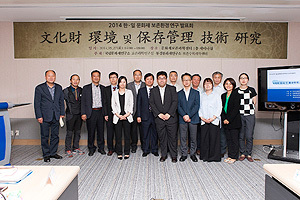 The 22nd international workshop on conservation and restoration of cultural properties entitled “Conservation of Sites and Water” was held on September 19, 2008, with 75 participants. 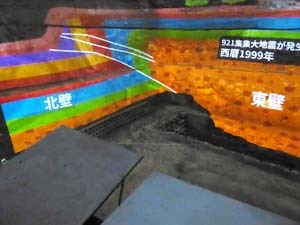 3 presentations were made: “The Hydrology, Hydraulics, and Geotechnics of Moenjodaro” by Mr. Richard Hughes of the International Heritage Conservation and Management Ltd., UK; “Present Condition and Problems of Conservation at the Sendai City Tomizawa Site Museum” by Mr. Sato Hiroshi of the Sendai City Tomizawa Site Museum; and “The Underwater Park of Baiae – Preservation and Public Access” by Dr. Nicola Severino of Naples and Pompei Special Archeology Station, Italy. These presentations were followed by comprehensive discussions. Ways to avoid water are often discussed in conserving sites, and exam-ples of sites at which conservation is conducted on the premise that there is water may be useful as reference when considering the conservation of sites in different circumstances. Based on the letters exchanged between the Thai Culture Ministry Fine Arts Department and the National Research Institute for Cultural Properties, Tokyo in October 2006, the Japan Center for International Cooperation in Conservation is performing joint research with the Fine Arts Department on the deterioration and conservation of ruins in Thailand. 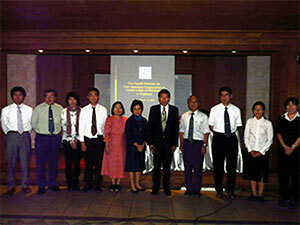 We hosted the debriefing session of the research results in Bangkok. 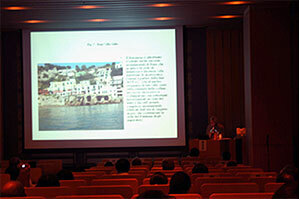 The session took place at the Thai National Gallery on September 4 and 5. 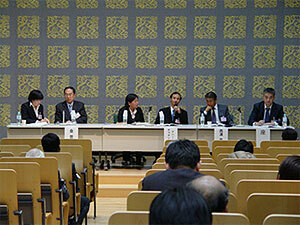 Research presentations were given at the session – six from Japan and four from Thailand- and lively discussion took place among the approximately 30 local researchers who participated. While staying in Thailand, we visited the Fine Arts Department, and had a meeting concerning the Asian Cultural Heritage International Conference to be held on January 14-16, 2009. In July, the Japan Center for International Cooperation in Conservation conducted investigations of the deterioration of stone sites in Thailand and Cambodia. In Thailand, the Center cooperated with the Fine Arts Department of the Ministry of Culture of Thailand to investigate sites in Scothai and Ayutthaya. At Wat Sri Chum in Scothai, we determined the difference in quantity of water evaporation between a place which is suitable for the growth of algae and another which is not. At Wat Mahathat in Ayutthaya, we conducted a follow－up study of conservation work that had been executed in 2004 in order to control weathering by salts, partly to determine how lasting the effect of this work has been. 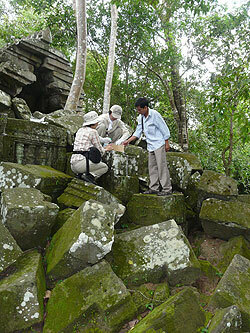 In Cambodia, we cooperated with APSARA to investigate the effect of the presence of lichens and bryophytes on the deterioration of stone materials. In particular, we studied the sandstone of Ta Nei to determine the difference in strength and other properties between a place in which microorganisms are present on the surface and another in which they are not. During our stay in Bangkok, we visited the Fine Arts Department to discuss matters concerning the Expert Meeting on Cultural Heritage in Asia and the Pacific to be held from January 14 to 16, 2009 in Bangkok. 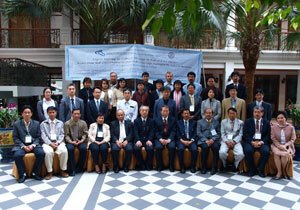 21st Conference on International Cooperation on Conservation: “Monitoring after Conservation Work” was held on December 6, 2007 with an attendance of 93 persons. Three presentations were given: Nishiura Tadateru of Kokushikan University, “Importance of Monitoring for Conservation of Remains, and Its Problems”; Nahar Cahyandaru of Borobudur Heritage Conservation Office in Indonesia, “Monitoring of the Borobudur Post Restoration”; and Kim Sa-Dug of the National Research Institute of Cultural Heritage, Korea, “Long-term Plan for the Conservation of Seokguram Grotto.” The presentations were followed by discussions. Various monitoring methods used ad respective sites were introduced and information was shared among the participants. We were made to realize that in order to introduce these methods to other sites it is necessary to make wider appeals about the importance of monitoring.